One of the main benefits to having a backyard is being able to go outside and sip on a beverage and enjoy the fresh air. Whether you live in a hot area or a cold one, a rainy climate or a dry one, you want to be able to take advantage of the space and privacy provided to you by your backyard. There is a wide range of backyard pavilions , from the sturdy high-end design that can accommodate a kitchen and shower, to the ephemeral structures that children build to house tea time for their dolls. Let’s examine two of the basic types that you might be interested in setting up in your backyard. One popular type of super low-tech pavilion is the so-called “tent pavilion ,” which is great for kids. This works well if you have more than one child, and want to get them to go outside instead of sitting in front of the television all day. Give them some old blankets, and a couple of tent poles or stakes of wood, some tape or strong twine, and maybe some cardboard or thick paper stock for constructing decorations. 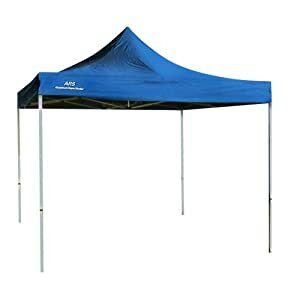 You can then help them set it up as you would a tent. Drive the stakes into the ground and secure the old blankets by taping them to the stakes. This will protect your kids from the elements and provide a space where they can be creative without the need to resort to electronics. Encourage them to decorate the sides of their new fort with the card stock. This can eat up quite a bit of time on its own. If you have a cooler you can fix them some lunch and stick it out there with them. And if they must play with their electronic devices, hand held game players or mobile phones can be used. At the other end of the spectrum is the barbecue equipped pavilion. This is great if you frequently entertain at your house during the warm months. A backyard pavilion that has the space to house a nice grill, a few chairs, and a table can really enhance the atmosphere of any party. If you are really ready to take it to the next level, run electricity to the pavilion and hang a television so that you can watch the big game. This is likely to be a fair investment of time, but is actually a very straightforward construction for someone who is good with tools. If you are looking for a way to take advantage of your outdoor space, and want to distract your kids or step up your ability to entertain guests, a backyard pavilion might be just the thing for you. You can chose from the ultra-minimalist tent for your kids, or the high-tech, electricity-enabled BBQ pit. Either way, make sure that the design of the pavilion is appropriate for your needs, that it matches the existing decor of your home and backyard, and that it fits into your budget.